tap 6 ambient options. tap start/reset for stopwatch. tap center to scroll through faces. tap 9 for 4-step darkness filter. 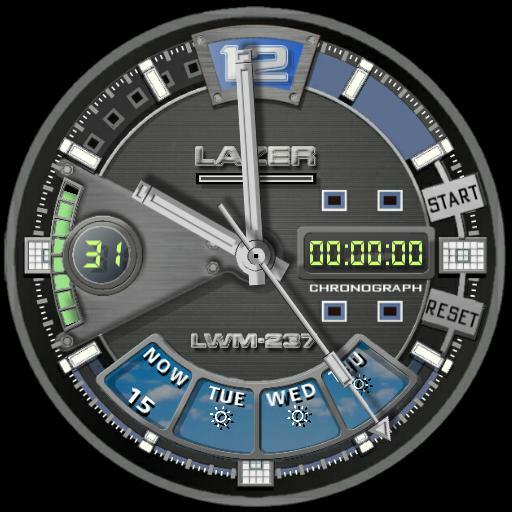 tap lwm-237 to update weather. watch battery meter at 9 oclock.